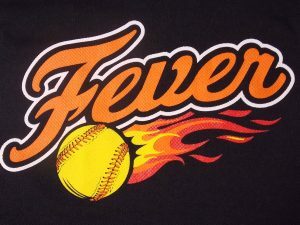 Ohio Fever Softball is the official travel division of Stow YES softball. This elevated level of competition and instruction allows girls to broaden their skills, and complete with teams from other regions. Ohio Fever currently offers U12, U14, U16, and U18 divisions. The Ohio Fever plays a more competitive and challenging schedule than what is traditionally found in recreation leagues. These teams are for those looking for an elevated level of play. It will be the organizations goal to roster as many talented Stow players as possible as evaluated by the approved head coach and Stow YES board. There may be players and coaches from other communities. Players already rostered on a NSA, ASA, USSSA team will not be permitted to participate. The 12U and 14U will participate in a weekday league and a minimum of three weekend tournaments. 16U and 18U are tournament only teams. Coaches will schedule practices based on the coaches’ plans. All outdoor practices will be held in Stow. Indoor winter practices will be scheduled by the coaches based on team funding and indoor availability. All Ohio Fever teams are self-funded. All fees collected are maintained in an account for the benefit of that particular team. Fees for the 12U and 14U will be approximately $450 plus uniform costs per player. 16U and 18U fees are usually higher in the range of $500 – $700 plus uniform costs per player. A non-refundable deposit of $200 will be due after an offer has been made to join the team. Non-payment of deposit will result in forfeiture of roster spot. The Stow YES program expects players to make a concerted effort to attend all winter program activities. However, we recognize several players participate in other activities and sports. As a result, we encourage all players to participate in their “in-season” sport. Please communicate all conflicts with your daughter’s coach. Once we reach the heart of the softball season, the Ohio Fever program and coaches expect softball to become their main priority. Without this commitment during April, May, June, and July, the success of your daughter and the team will suffer. Missed softball activities will affect your daughter’s playing time at the discretion of the head coach. For more information, please see the Fever FAQ.